IMPORTANT: Minimum total of 100 ribbons of any place all together. Note: You are able to order as many different places as you please, they simply must all add up to 100 with each amount of the places together. 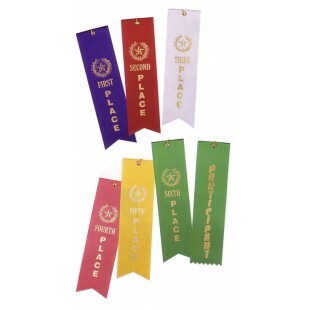 example-- 25 1st Place, 10 2nd Place, 30 6th Place, 20 5th Place, 35 Participant = 100+ Ribbons.